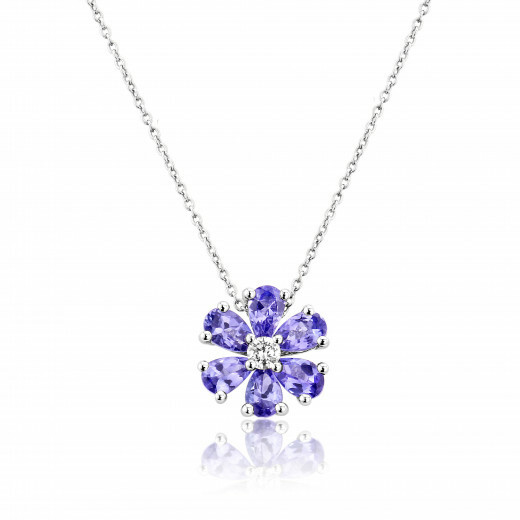 This beautiful and unusual White Gold Pendant features a round central Diamond and six Tanzanite's 'petals'. 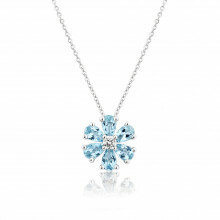 The pendant has a cut out setting which cradles the stones but lets light in to enhance the stones and give extra sparkle. 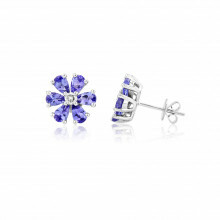 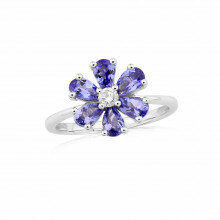 Do you know someone with a December birthday (Tanzanite's is an alternative birthstone for December) or someone who loves a floral style to their jewellery?